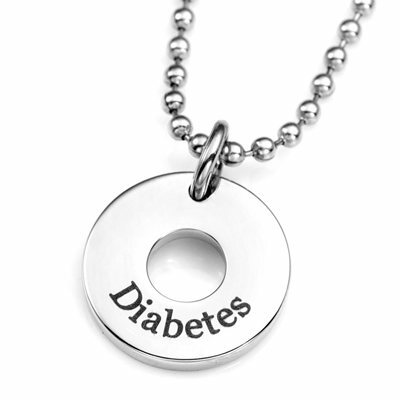 Stay safe with our "Circle of Care" stainlees steel Diabetes necklace. 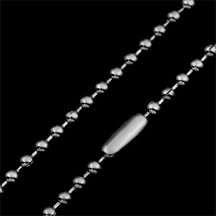 Diabetes comes pre-engraved on the front of the pendant. We offer one line of FREE Laser engraving in a circle around the back of the circle. No further discounts available on this item. Medical Engraving in Block Font CAPITAL letters. Please leave spaces between words.